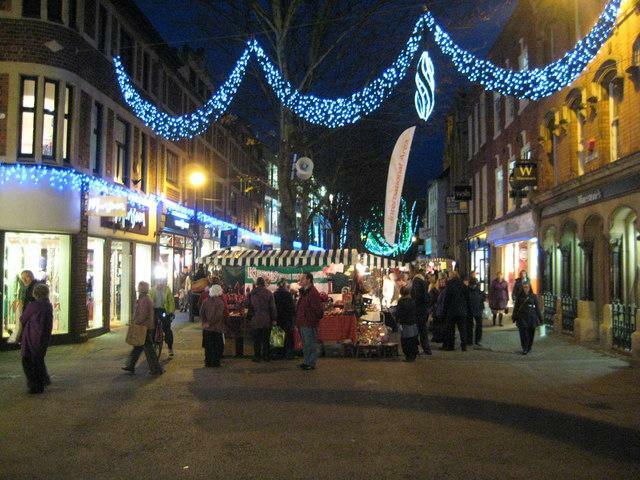 The Worcester Victorian Christmas Fayre is celebrating its 25th Anniversary this year. The car park at County Hall will once again provide a Park and Ride service to take visitors to and from the popular Victorian Christmas Fayre this year. The service will run from County Hall to Worcester Crowngate Bus Station on Saturday, 2 December and Sunday, 3 December. It's being run jointly by Worcestershire County Council and First Bus Group. Park and Ride services will operate from 8.35am to 8.10pm on Saturday and from 9.45am to 5.10pm on Sunday. Ticket prices range from £3 per adult, £1 for children under 16 years, £7 for a group ticket this include the driver and up to six passengers and children under-5 travel free of charge. Traditionally the Victorian Christmas Fayre, which is also celebrating its 25th anniversary this year, attracts visitors from throughout the county and beyond, providing a real boost for Worcestershire's tourism. "This is another example of what can be achieved with the County Council working in partnership with First Buses". "The Park and Ride service will hopefully allow visitors from the county and beyond to enjoy the 25th anniversary celebrations of the Worcester Victorian Christmas Fayre". "As well as that it will ease congestion at what is traditionally a very busy time in and around Worcester". Full details are available at www.worcestershire.gov.uk/xmasfayrebus.